The Isle of Wight’s new secondary school, The Island Free School, has invited staff and pupils to come together for a very special day of activities led by ultra-cool choristers, Sense of Sound. 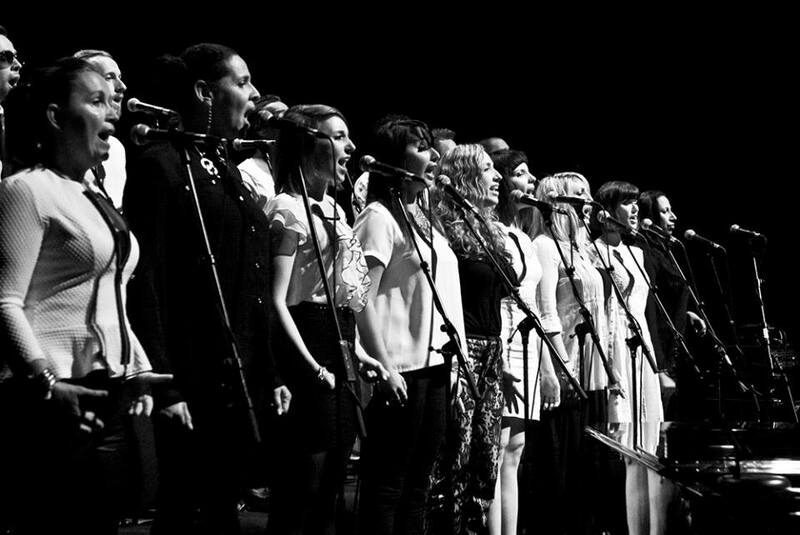 The innovative group of vocalists and beat-boxers – who recently worked with choir master Gareth Malone on BBC2’s The Choir – will be coming to Ventnor on Friday 4 July. This will form part of the school’s plans for the Transition Days that are taking place across the Island (when Year 6 pupils are given a taster of what life will be like at their chosen secondary school). The students and staff will be encouraged to explore their musicality, and come together as a group, through learning and performing pop, rap, soul and R&B. The Island Free School opens in September 2014, initially at the former St Francis Primary School site at Lower Ventnor, until a brand new school is ready for occupation in September 2015 (this will be opposite the newly acquired Rew Valley Sports Centre). The school was oversubscribed for its first intake of Year 7 students – and all 125 of the successful applicants have been invited to this landmark get-together. The day before, on Thursday 3 July, the students will meet their new teachers for the first time. Parents will be given the opportunity to meet their child’s individual mentor to discuss academic and pastoral needs. Parents and pupils will also be invited to express their preferences for the after-school extra-curricular programme, which will include musical, sporting and dance-based activities.